Shoppers tend to have heightened expectations when shopping at a brick and mortar retail store. This can be both good and bad for retailers who are looking to maximize sales. 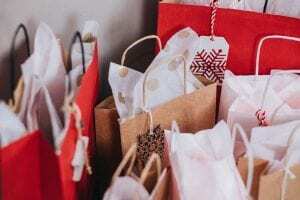 On the positive side, a happy shopper who had previously only shopped online, but who has a positive in-store experience, is more likely to become a regular customer. On the negative, busy shoppers who can’t find what they want will leave unhappy and without spending a cent. There are three lessons to keep in mind as retailers look to improve the customer experience and maximize sales in the year to come. This seems like a no-brainer, but this can be a challenge for many retailers who are struggling to find a balance between online and in-store inventory. But shoppers who can’t find a specific item, color or size will leave frustrated, and that negative experience may deter them from ever returning. 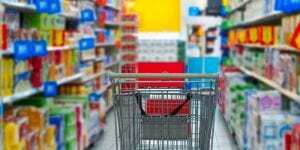 Ensure that shelves remain stocked, and if that’s not possible, offer similar alternatives or consider discounts for unhappy shoppers. This goes hand in hand with stocking shelves. Offering many different choices, especially for popular product types, will keep customers happy and will boost sales when those more popular items go out of stock. Think a lesser-known all-in-one pressure cooker in place of a sold-out Instant Pot. Online shopping continues to grow more popular. Leverage this traffic by making products available for sale online. Get online shoppers into the physical store by offering incentives like free in-store delivery. What else can help to maximize sales? An integrated, highly functional point of sale system. Retail Tech carries a wide variety of new and refurbished POS equipment. We offer installation and staging, PoS printer repairs, and more. Contact our POS systems specialists for help finding the perfect point of sale solution for your retail store. Food trucks are a great way for aspiring and up-and-coming restaurateurs to break into the restaurant business. In addition, established restaurants often start food trucks in order to reach new customers and add revenue streams. To maximize the potential of these popular restaurants on wheels, however, it’s important to install a food truck POS system that’s right for your business. Ready to get a piece of the estimated $2.7 billion food truck market? Point of Sale recently broke down the key considerations for evaluating and selecting the right POS system for your truck. 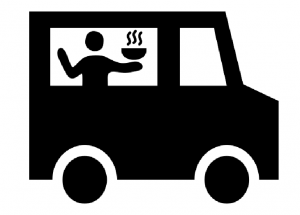 Food truck customers expect to order, pay and receive their food quickly. If your POS system is bottlenecking the process, they’ll get frustrated and find another truck. It goes without saying, but there isn’t much extra room inside food trucks. 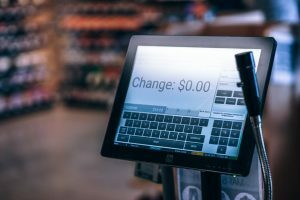 Make sure to select a POS system that is lightweight, small in size, and connects with as few cables as possible. The beauty of food trucks is that they can be completely unique, both in food and in internal workflows. Find a POS system that can be customized to meet your needs. As in any restaurant, it’s important that a food truck POS system has the capability to report on sales and inventory. You’ll also want to track performance by location, day and time, food offerings and more. Food truck fans love sharing their finds on social media. Take advantage of this excitement with a customer loyalty program. You can even tie your POS system into a CRM, creating a marketing list that will allow you to alert customers of your location, new products and more. Make sure your food truck POS system can still process payment even if you lose internet connectivity. Ready to launch your food truck? Retail Tech carries a wide variety of point of sale systems, POS solutions, accessories and more. Contact us to discuss your unique food truck POS system needs.